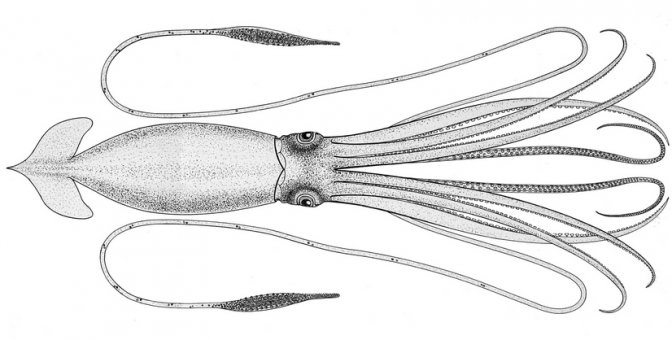 Is commercial squid fishing damaging the MA striper fishery? Andrew January 24, 2017 RECENT, Slide, Uncategorized No Comments on Is commercial squid fishing damaging the MA striper fishery? The historically significant striped bass fishery that made Martha’s Vineyard (and Nantucket) the iconic fishing destination it is, just ain’t what it used to be. Very few local guides or anglers with any history here would argue this isn’t the case… There seems to be a consensus that all those rips that used to stack up with fish from June to September don’t really produce anymore. Least not like they should. And the beaches? Well of course there are still fish caught, but the fishery appears to be a shadow of its former self. 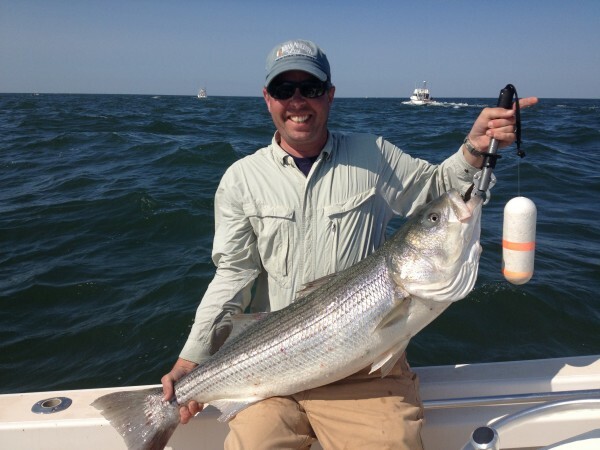 It’s not just anecdotal… A quick review of the Martha’s Vineyard Striped Bass Derby catch records show a definitive decline. For a few years a lot of us just assumed it was related to the general decline in striped bass abundance, but let’s be honest here… the striped bass do indeed appear to be coming back, at least to some extent, with the 2011 year class starting to flood the coast. But the area around those two Islands arguably hasn’t recovered, at all. While of course, nobody really knows for sure, a likely answer to the question can be found by simply taking a walk down to the South Shore of either island in June or July and looking out on the horizon. Squid is like candy to a striped bass. Over the past few years, it’s been filled with squid trawlers, sometimes a dozen, sometimes upwards of two-dozen, trawling back and forth, mowing the lawn… not just within eyesight, but often pretty damn close to the beach. Certainly there were trawlers that fished this area in the past, but such a dense concentration of small-mesh bottom trawls is a fairly recent occurrence. While the squid industry disputes this point, it’s pretty well agreed upon by islanders that there are a lot more boats around these days… The available data indicates this to be the case as well. And yes, the occurrence of such aggregation of boats happens to coincide with the downfall of the islands’ striped bass fishery. So why are all these trawlers, all of the sudden, fishing here? Well, who the hell knows, but it’s likely a combination of new electronics (particularly the new AIS technology, now a requirement) that brought the first several following boats into what is essentially a spawning squid funnel, and the fact that they just figured out that they could fish here with minimal effort and catch a (expletive)-ton of squid. Large bass will stack up when squid spawn in the rips.